How on earth did this happen? By its own high standards, Microsoft’s Windows 8 juggernaut is in a bit of a sales fix while a Google OS/Chromebook platform few consumers had even heard of six months ago is suddenly just about the only growing segment of the non-tablet home computing market. 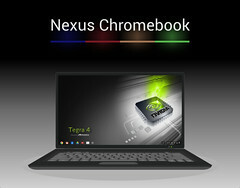 Chromebooks from Samsung and Acer have been the best-selling laptops on Amazon.com and Amazon.co.uk more or less since they were launched in October 2012 to the extent that Acer admitted that the up to 10 percent of its unit PC sales in the US could be attributed to its C7 model. Sundar Pichai presenting at the Chromebook launch. No PC challenger has done this in a generation save perhaps the Apple Mac and that was always limited by its high price, and yet machines running Google’s cloud-driven Chrome OS are suddenly, unexpectedly right up there. Granted they’re cheap in the same way netbooks were before manufacturers lost interest, but there’s more to their success than scrimping economy. Take the cheapest Chromebook of all, the rather odd hybrid that is Acer’s £199 C7. The processor is the modest dual-core Intel Celeron 847 running at 1.1GHz, with 2GB of RAM and (given its cloud-oriented nature) a pointlessly large and energy-hungry 320GB hard drive. With its 11.8inch screen and modest three and a half hour battery life this could almost be another netbook but it’s undoubtedly swifter and more capable than the Intel Atom devices from three years ago. There's a simple reason for that - it doesn’t run Windows. Freed from the Windows model of over-sized local applications and storage the Acer C7 doesn’t waste cycles doing things it doesn’t need to in the same way that smartphones and tablets don’t. As long as it has an Internet connection, the Chrome OS is superior at doing the simple tasks. Armed with a Google account and the Chrome browser, users will be perfectly happy browsing websites, installing mini-applications and streaming video with ease. A connector is available for Microsoft’s Skydrive which also offers a perfectly serviceable way of creating and editing basic Microsoft Office documents. You can’t run Office but it’s a daft myth that you can’t access it at all. As it often pointed out, Chromebooks aren’t as competent offline but plug-ins are available to allow Gmail and Docs to be used in a disconnected state. If you were to summarise the Acer C7, you’d say it’s not as bad as you’d assumed for a machine that looks as if it’s been built from parts designed to be sold as part of a cheap Windows machine. It's the OS not the hardware that is its identity. It lacks the 12-second boot of the SSD and ARM-equipped Samsung X303 Chromebook but given that Chrome fires up from suspend mode and connects to Wi-Fi almost immediately this isn’t a big deal as long as staying logged in with the screen closed isn’t a big security turn-off. If you were to make a criticism, it’d be the mediocre battery life, barely an advance on the netbooks whose mantle it has picked up. Lacking dedicated drivers, printing is also a bit of a chore. But the Chrome OS itself no longer looks like another speculative vanity project of the sort Google has become notorious for hyping and dropping. Its makers appear genuinely intrigued by their creation and the advantages the cloud OS model has over Windows, not least the control that comes from being able to almost invisibly update and improve it on a real-time basis (note: Samsung’s Chromebook X303 is reportedly a few increments back on the Acer in receiving these updates). It is a still a work in progress but a rapidly maturing one that is selling to someone out there. As to the future, with the Chromed-up Sundar Pichai now a rising star at Google rumours abound that it will eventually be merged with Android, possibly even subsuming it to become a sort of converged cloud-driven PC-tablet-smartphone environment not a million miles away from what Canonical has on its Ubuntu roadmap. Intriguingly, with the Firefox OS another browser-inspired challenger that could morph into a cloud operating system at some point not to mention Microsoft’s own rather uneasy Windows RT and Phone fork, Chrome's model is not likely to wither into a dead end. Probably the most important benefit of Chromebooks, even the ludicrously expensive Pixel that reportedly impressed Linus Torvalds, is that it underlines Microsoft’s discomfort over where it is taking Windows. It might merge Windows Phone and RT at some point but what about Windows 8 or its successor? Larry Ellison famously talked up the coming of network computers just as Novell told everyone that the ‘network was the computer'; Torvalds was adamant Linux could take on all comers on the desktop. It’s turned out that all three were right but about a decade or so too quick off the mark. Every Chromebook sold is a reminder of the sudden weakness of Microsoft and its operating system model, the sense that a giant is about to be cut down to size. Nobody will believe that until they see it fall but for the first time in as long as anyone can remember it is actually possible to believe some of the more obvious cracks are permanent.